I'd never expected another wedding to happen when it's almost the end of the year. November is low season. I supposed to take things easy and yet I found myself overwhelmed with the work assigned to me. 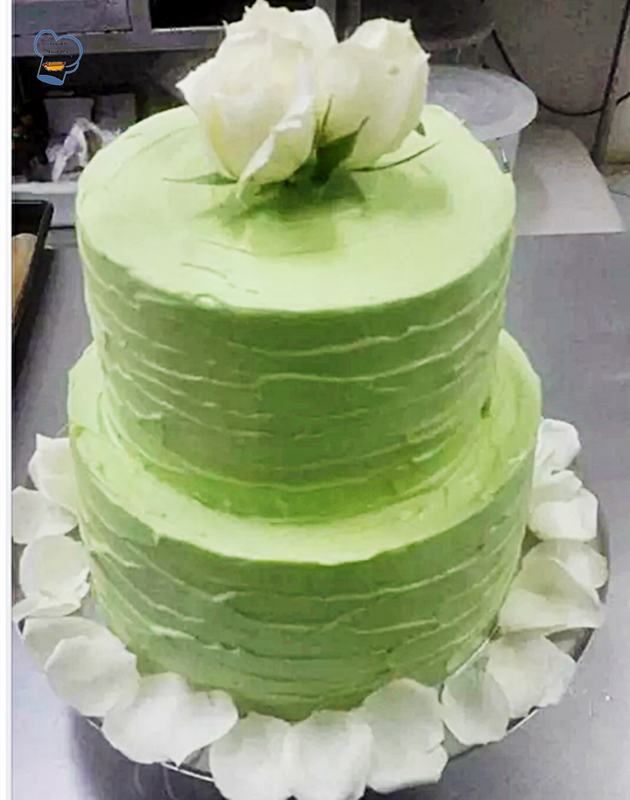 Besides my daily work load, I was commissioned to make the wedding cake and the party favors which I will talk about in another post. For now, I want to talk about how I pulled this off unbelievably fast and without much hassle. I guess it's due to the fact that I make this cake so often that I have gotten so familiar with the methods. While I cooked chocolate/butter/espresso mixture, I sifted the dry ingredients together. In another bowl, I whisked the eggs with sour cream. When the egg mixture became pale and frothy, I added the dry and wet ingredients alternately until they were well incorporated. I poured the batter onto greased and lined baking pans. I loosely covered the pans with aluminum foil before I put them in the oven. I stick to baking time with the big pans. The small pans were done after a little over an hour. As I gave the cakes time to cool down, I made Swiss meringue butter cream. I added kelly green color a little at a time until I achieved the desired shade. 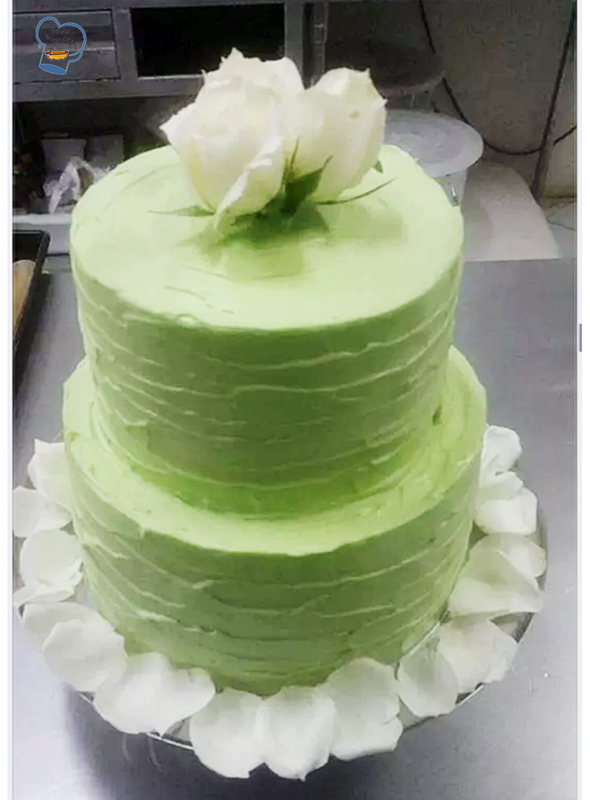 I sliced the cakes, layered it with butter cream,crumb coated it and chilled it until the thin icing was firm enough before I applied the final coating. I chilled it again overnight as it is easier to stack cakes with a hard frosting. Early morning the next day, I added the second tier on top. The flowers were added right before serving. Everything went smoothly. I couldn't be happier.